You don't have to be a HEPA filtration expert to understand the basic function of a standard air filter, which is to trap as many harmful pollutants as possible. But here's a question you should ask yourself: Are all air filters basically the same? The short answer is "no," because the health benefits of High-Efficiency Particulate Arrestance (HEPA) filters are greater than that of a regular filter. A HEPA filter captures the smallest airborne particles, classified as sub-micron in size. A micron is 1/25,000 of an inch or one one-hundredth of the diameter of a human hair so sub-micron particles are even smaller than that. 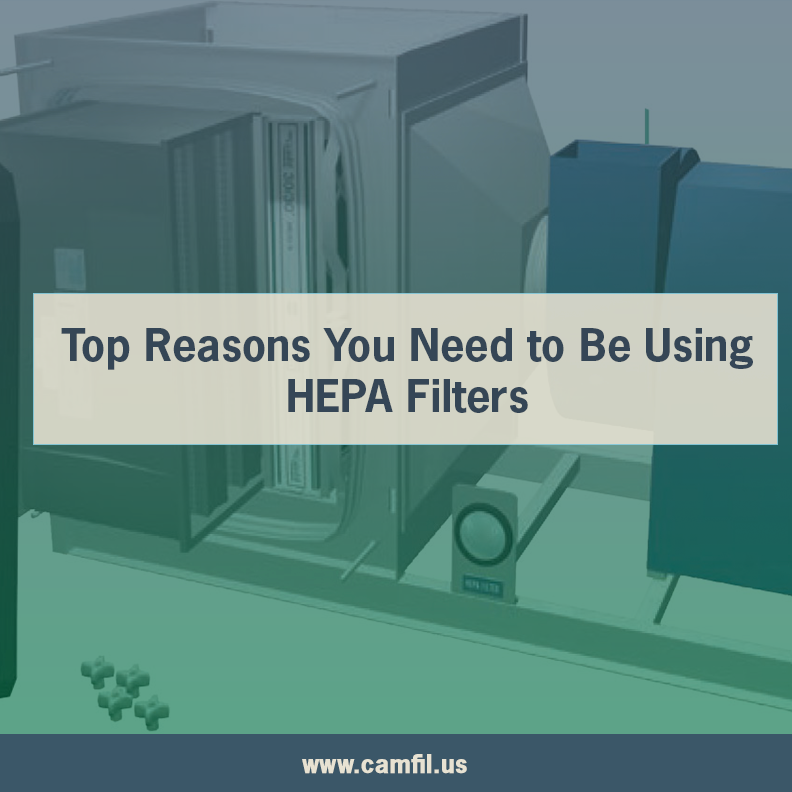 "The air filtration industry is always looking for new ways to improve the efficiency of filters, which is why the development of HEPA filters was such a game-changer” stated Kevin Wood, Camfil USA Vice President Sales & Marketing. HEPA filters are not measured using the same testing Standards as other HVAC filters which don’t even come close to the particle removal efficiency of a HEPA filter. Standard filters are rated in terms of a Minimum Efficiency Reporting Value (MERV) or efficiency values quoted based upon their ability to remove particles in terms of PM10, PM2.5 or PM1. HEPA filter efficiencies are quoted using efficiency values at most penetrating particle size (MPPS). These efficiencies can range from a lower level of 99.97% at 0.3 micron to a very high efficiency level of 99.9995% at 0.12 micron. HEPA filters are typically used in semi-conductor manufacturing facilities to eliminate contamination that can compromise the miniature circuitry used on chips, in pharmaceutical manufacturing to ensure the integrity of the drugs we use to treat maladies or even those drugs required daily and in medical facilities to protect the most compromised of patients who may have high exposure during operating procedures. To use HEPA filters in standard HVAC system or residential application the deficiencies of such systems must be addressed, mainly too small a fan system, most not capable of moving air through the filter. In critical situations, fan systems can be upgraded with stronger fans or higher horsepower motors to overcome the limitation. Be sure to consult a professional before application. HEPA filter technology became a U.S. government standard in 1983. They were first developed in the 1950s as a way to filter microscopic radioactive particles during the construction nuclear weapons during the Manhattan Project during World War II. After the war, we had a technology but no commercial market to offer it to. The invention of the transistor and resultant semi-conductor based product manufacturing opened a market to produce these products in the 1960s. Later they were applied to pharmaceutical manufacturing and then they were introduced into medical facilities. In fact, the original name “absolute filter’ was coined through the project and is now a registered Trademark of Camfil since the rights to manufacture the product were originally purchased by Camfil. It’s important to remember, however, that as effective as HEPA filters can be, they will not trap every particle in the air. 99.97% means there will still be 0.3% of particles that get through the filter. That includes some viruses, smoke particles and of course items that are milli-micron in size such as gases. For health care, officials have found that particles ranging from 0.3 microns to 0.9 microns are the most harmful to human health, because they are tiny enough to get past the hairs lining nasal passages, but too large to be expelled through breathing. Even though these filters are primarily designed for high tech applications, anyone with existing allergies, asthma or other type of respiratory problem should evaluate and invest in HEPA filters to significantly reduce harmful particles in the air. 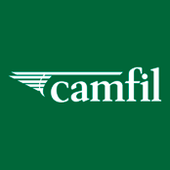 At Camfil, we offer HEPA and ULPA (Ultra-Low Particulate Arrestance) air filters for commercial facilities such as food and beverage. Please visit our website to learn more about the products we offer.